There is part of you that moves to the beat, lives to the beat, is the beat. From the irreverence of Rockabilly, through the wild dreams of Psychedelia, to the straight-up rebellion of Punk, rock music has been the soundtrack of personal and social change for decades. It connects us to both our fierce individuality and our tribal loyalty. The 5Rhythms® ecstatic dance practice is the place where the free spirit of rock’n’roll and the discipline of meditation become one. Whether you’re an eternal rebel, or a guardian of the old tradition, this workshop is a celebration of the part of you that was born to rock. No dance experience required. All life experiences welcome. Dance Studio Leeds, Mabgate Mills, Macaulay Street, LS9 7SW. £15 deposit to confirm your booking. 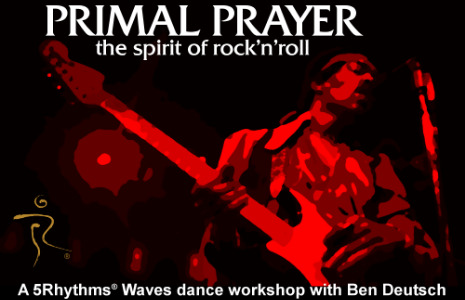 Ben Deutsch is an accredited 5Rhythms® teacher and a firm believer in the healing power of rock’n’roll. If the dancer cancels, any payment they've made above the deposit amount will be refunded. If the organisers cancel, all dancer payments will be refunded.